An Exclusive Interview with Our Krishna Only on Mytho Masti. Jump in! To the exclusive interview of the popular Hindu God Krishna, better known as Gopal, the little cowherd, on his birthday with the Pro Reporter. Pro :*smiles broad* We are in Vrindavan, under the Kadamba tree beside which stretches a vast lush, green meadow. A number of cows and bulls are grazing around, while a calf is nibbling at our camera, apparently asking for a selfie! Ah! There's Mr. Balraam! Hello Sir! How do you fare? Balraam : *uninterested* Nicely! Thank you. Pro : Sir! A second please. We are here from the Mytho Masti channel, and mean to have a short chat with your brother. Pro : Sir, we had a question for you too! We have heard that your brother is the naughtiest brother in the whole world. What are your views on this? Balraam : Yes! He is. Why, just yesterday did he steal some butter and framed me for that! And now, I'm carrying these logs for the havan! I do hope you know the occasion. Oh yes, another day, he forced me to lie to both our Mothers that he had not been out at night, and to stay awake one full night looking out for anyone on the way while he roamed around in the forest! Now, if you call that naughty. I call it craziness! Balraam : No more questions now! Get back to your work, and if you have nothing else to do, then go and help her, that blue-sari, in making the rangoli. Good Lord, she does look harassed! Pro : *looking harassed herself* So, here we take you to the lady in blue! Excuse me Ma'am! You are Radha, I presume! Radha : Oh yes! But could you please pass me those yellow flowers? Yes, those. Thank you! Now, who you are? Radha : *retreats to her dreamland* Oh Krishna! 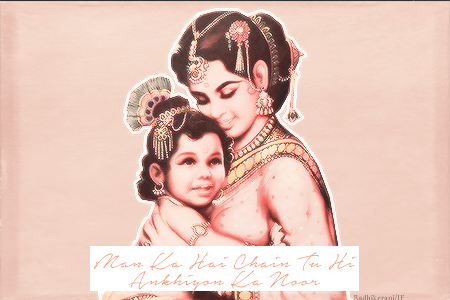 Oh my Krishna! See I have made the rangoli in the shape of a peacock-feather, just like the one that adorns his hair! And see the garland I've made for him! Of course I wouldn't get the chance to put it around his neck, but, doesn't it smell sweet! Pro : Yes Ma'am! It does look quite beautiful. And the garland too has such a nice fragrance! Radha : Thank you so much! Pro : Ma'am, we've heard that Krishna is quite naughty? What are your views on that? Radha : Oh no! He does not trouble us a bit! Yes, we have heard rumours of him breaking pots and stealing butter, and we also plan to teach him a sound lesson for that. Pro : That's so nice Ma'am! Radha : The green ones! Radha : Do not trouble me any further, there's Yashoda Maa, you can go and irritate her now. Yashoda : Oh! Don't you bother with him. Come here you little champ! Let them come closer. So you are? Pro : Representatives of the Mytho Masti channel. Yashoda : Congratulations for that, but who's asking for your presence here? Pro : *still panting* Mother! We've come to interview your son, Krishna. And we also have a question for you! People say your son is the naughtiest one in the world! What do you think about it? Yashoda : Yes, he's definitely a bit of monkey, but not unless he's provoked. Just once I had to punish him and he somehow turned it into a punishment for me! But, otherwise, he has always been very sweet and caring. Pro : The Pro Reporter is back with Krishna, the naughtiest boy for an exclusive interview only on Mytho Masti! Krishna : Good Lord! Stop the harp! I've been hearing that for the last ten minutes. Pro : What to do Krishna, we just can't get the angle correct. Cameraman, be quick! Krishna : Wow! You call my brother Sir, and me just Krishna? Pro : S-sorry Kris-, err, Sir! Krishna : Oh it's alright! I was just joking! Anyways, let me announce this time, hoping my charms would work out! So, here we are! I am Krishna, and the lady you see, is the Pro Reporter, who brings to you an exclusive interview with me, the naughtiest boy in this world and where are you from? Yeah, she represents the Mytho Masti channel, and the first question to me is? Pro : The first question to you is, how do you feel as the whole village is being decorated in your honour and all the people are so anxious to gladden you? Krishna : I obviously feel elated by all the love and attention I'm getting, but I'm kind of used to this! Pro : Oh, that's nice! So, the next question is, how will you justify your thefts and other acts of naughtiness? Krishna : Ah, these people, they want it from me. Pro : Then why do they complain to your Mom about everything? Krishna : They like to see me crying. Hey! Delete that! I don't cry! Pro : Ah! That's a bit of news, and it won't be deleted. We agreed on that! Krishna : Huh! Stay tuned to our interview as we'll be back after a brief revision of the agreement, only on Mytho Masti! Pro : Yeah! That's it! Pro : *panting* Hello everyone! We're back, with Krishna, for an exclusive interview only on Mytho Masti! Krishna : *grabs the mic and jumps* Yoo-la-hu! We're back! Pro : *grins* And we didn't delete the clip. Krishna : Who asked you to remind the audience? Pro : Oh anyways, the next question. Why do you steal in the first place, considering the vast amount of butter that is churned out everyday at your house? 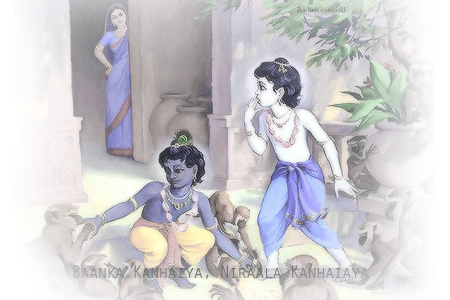 Krishna : See, all my friends are the children of mere cowherds, and I cannot always feed them to their heart's content with the butter I am allowed to have. So, I take them to the homes of various Gopis and give them a treat. Yeah, some of the Aunties hate me for this, but the satisfaction of my friends are much more important for me than what they think and do. Anyways, most of them are always asking me, that Krishna please come, we'll keep the door open and all sorts. Pro : You're so sweet! Thinking of your friends before anyone else. But wouldn't people think that you trouble your girlfriends to satisfy your boyfriends? Krishna : All in good time Lady. Now it's the time for the cowherds to enjoy themselves with me, and there will be a time when I'll be with Gopis all day and all night, fulfilling all their desires. Pro : You're so knowledgeable Sir! I so wish I could cover your birthday myself! Krishna : Granted! Next question! Pro : *does a war-dance* Yay! So, we're covering his birthday as well! Well, the next question is, what's your views on King Kans' continuous attempts to take your life? Krishna : *grabs the mic* If you're watching this, then beware Kans! I may very well jump into this camera and jump out from your television! And the rest, I hope you'll imagine yourself. Well, send as many demons as you wish for they do me more good than bad because they actually help me enhance my weight-lifting skills. But, the next time you send someone, make sure he has more brains than you. Thanks! Pro : So as you can see, our little Krishna has issued a clear warning to the King, and is now busy admiring a handful of butter! Pro : No, thanks! We'll be anyways having so much of it throughout the day! Krishna : Okay, as you wish! Next? Pro : Yup! So the next question to you is, what is the first thing you remember from this life of yours? Krishna : Memory? My Mom-Dad first of all. What else do I remember? Yeah! I remember the jail, the river and the road. I remember basically everything! I don't think I need to elaborate n this, do I? Pro : No! Not at all, we know the rest! Pro : Won't you, err, introduce us to your friends? Those monkeys? I mean, those real monkeys? Krishna : Yeah, come! This is Sundari, that's Vishal , and Maruti! Where's Hanumaan? Ah, there he is! *a monkey peers down from the top of the camera* Hey! Hanumaan, get down! That's not an enemy King that needs scratching! Pro : Oh nice! So, as you saw, and still see, these little friends of Krishna are quite naughty! Krishna : And here come my other friends. Hey Mansukha, Sridaama! Meet her, she's the Pro Reporter from the Mytho Masti Channel who'll spend the day with us. Pro : Promise, I wouldn't trouble you at all! We'll just cover the incident! Sridaama : As long as you don't cover up the incident! Krishna : *glares at them* Mansukha and Sridaama! Do you particularly want a smacking from Dau? I can get you some! Krishna : Welcome to my Vrindavan. You're free to roam around in the village, and if anyone troubles you, just shout my name. The person will be taken care of! Okay? Pro : Okay and thank you! Here we take you to the home of our dear Krishna where the preparations for his birthday celebrations and going on in full swing! The whole mansion has been beautifully decorated with flowers and pearls. There are some beautiful strings of red and blue flowers, with yellow marigolds scattered all over the floor. Mango leaves are placed in the holy pots at the corners. The swing has been renovated to make it look like a royal throne. We have already shown you the beautiful rangoli made by Raadha. Ah, there's a pot hanging from the rope up there. Lets ask the Lady there about its purpose. Ma'am! Pro : We are from the Mytho Masti channel and we're covering this beautiful occasion. Lady : That's nice! So, how can I help you? Pro : Actually we wanted to know about the utility of the pot hanging there. Lady : Oh yes! We had thrown a challenge to Krishna! Every time he comes and loots us in secret. So, we asked him to show us his wits and tell which one of the five matkis have got the butter. See, there are the others. We haven't hung them yet. Oh Lord! I must leave. I'm taking care that Krishna does not roam around here, otherwise he'll know which one to try out. And yes, he'd be given just two chances to identify the matki! Pro : Thank you so much Ma'am. So, as you can see, this birthday will not go that easy with our Krishna, with such a sweet challenge to meet! There sit all the girls of the village. They are busy with the making of the rest of it. Umm! Such a nice smell it is! Seems like a tasty dish in on the way. So, let me take you to the best kitchen in the village where Maa Yashoda and Ma Rohini are supervising the cooking! So Yashoda Maa, what is the menu for today? Yashoda : The menu consists of Krishna's favorite butter and kheer. I am also making a specially milk with misari and honey! It's his favourite. Rohini : Yashoda, we also have puris with daal makhani and paneer. Oh, and how can we forget the laddoos! Yashoda : And the gulabjamun! We also have pilaf! Pro : That's surely a treat Ma'am! And where do we assemble for the havan? Rohini : Here, Vallabhi will take you! Pro : Thank you! Here's Vallabhi, Maa Yashoda's chief assistant. So, Vallabhi, what are the gift arrangements? Vallbhi : Wanna see? There it is! Pro : *gasps* Isn't that a mini mountain? It looks like one. Vallabhi : Ah, that's just half of it. The rest is scattered all over the place! It will be collected tomorrow morning, before the morning prayers. Pro : So, basically that's Krishna. A mountain of love created for the ocean of love! Oh, This place is so quiet and serene! We call for silence to the dignity of the place. The holy fragrance of the dhoop traverses in all direction as the whole family gathers to this occasion. Krishna sits between his parents and offers sacrifices to the fire as the purohits chant the mantras in rhythm. Nand Baaba and Yashoda Maa beam with pride as the holy fire flickers with offerings of ghee. Now, Krishna rises to perform the aarti of the holy fire, and his parents. Balraam aids him in this and they together complete the ritual. Then they both bend to take blessings from all the elders present there. The havan ends with the brothers embracing each other with a depth in love unknown to the world. All of us have gathered in the courtyard where the five matkis are hung. One of them contain butter, while the rest of them are filled with sand. Krishna glanced menacingly at the Gopis, and drew in a deep breath. "Come," said he, "You five, will form the base here! Mansukha, Sridaama and Dau, you'll form the second floor. I'll be the terrace." The naive Gopis might not, but we've understood his indication very well! Krishna is examining all five of the pots very carefully. Now, he advanced towards the pot in the right corner. Oh, he has turned to the Gopis! He is saying, "Two chances, right?" Raadha smiled wickedly, "Trying to access one pot twice will also count my dear." So, she's not as naive as we took her for! Krishna chuckles and goes forward. His friends forma pyramid as advised, and Krishna gracefully climbs up human ladder. Everyone waits with bated breath to see the outcome! Is this the real matki, or the one is the center? Or the one near the mansion? Krishna, however is absolutely sure of himself, and is balancing himself on the shoulders of Sridaama and Balraam! Hey! Why is Raadha tiptoeing towards the boys? The Gopis watch with delight as the delicate Raadha pinches one of them not so delicately, and lo! All of them come tumbling down on the ground. Krishna shouts, "Hey! That's not fair! I saw you pinching Subala!" Raadha bends over him and whispers something that seems like- everything is fair in love and war! Krishna says, "Get up all of you! Subala! Can't you even stand a girl's pinch?" "But she pinched so hard, Krishna!" Krishna pinched him in turn, "Harder than me?" he said. "Anyways, get back to your positions boys! This one is the real matki, otherwise this Raadha wouldn't have played foul!" So, they get up and reform the construction while Krishna throws some deathly glares at the Gopis which is received by several suppressed giggles. Now he balances himself and catches the matki. He whips out his catapult, and turns back. He shoots a stone at the matki in the center. The next to break is the one near the havan structure. Oh, sand is pouring down the corners of the third matki! The fourth one near the mansion also falls down with the catapult striking it. He turns back, and with a wide grin he scoops out a handful of butter and puts it into his mouth. He also feeds Sridaama, Mansukha and Balraam while the cowherds starts dancing around him, and Balraam and Sridaama lift Krishna and cheer. The Gopis stand sulking, but Raadha has joined the dance. Krishna catches her round the waist and they dance away seemingly oblivious of their surroundings. Rohini Maa is clapping to the marching tune while Balraam has pulled Nand Baaba and Yashoda Maa on to the dance floor. Everyone seems to enjoy themselves, so even I should go and join them with my own Bhangranatyam! Pro : So, as you saw the havan and the challenge was completed with quite satisfaction, and we're off to the delicious lunch! Enjoy yourselves to the fullest on this Janmashtami when Krishna turns an amazing 5237! Let us wish him a very happy birthday and pray that he shall always look after us whenever we want his help and wherever we need him. Wish you a very, very happy Janmashtami friends! Happy birthday to my dearest Kanhiaya! May you enjoy this day like never before! 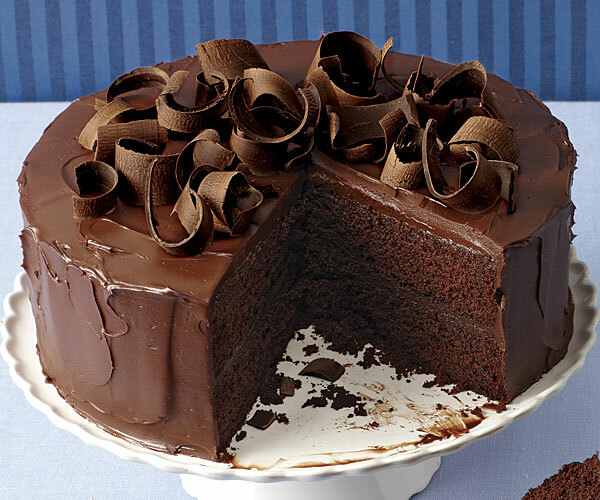 Here's a sweet cake for you! And here are two siggies with their matching icons for our dear forum members to use for this sweet occasion! Please do keep them under your wings always! Happy birthday once again our dearest Kanha! wow amazing post n interview Prateeti.. Loved the idea..